The head of Air Force Special Operations Command hopes new technology can help the service defeat one of its oldest foes: weather. "I'm the gunship guy that's spent a lot of my life looking at the top of clouds," said Lt. Gen. Bradley Heithold, the leader of Air Force Special Operations Command. "I spend my mornings going through the multitude of reports that I get from the battlefield. And you'll be amazed at how many times I will see weather has disrupted our ability to strike." Enemy targets have the ability to "mass and maneuver" under cloud cover and bad weather that hinders Air Force operations, Heithold said at the annual Association of Old Crows symposium on electronic warfare. "I have to take that away from the enemy," he said Thursday. 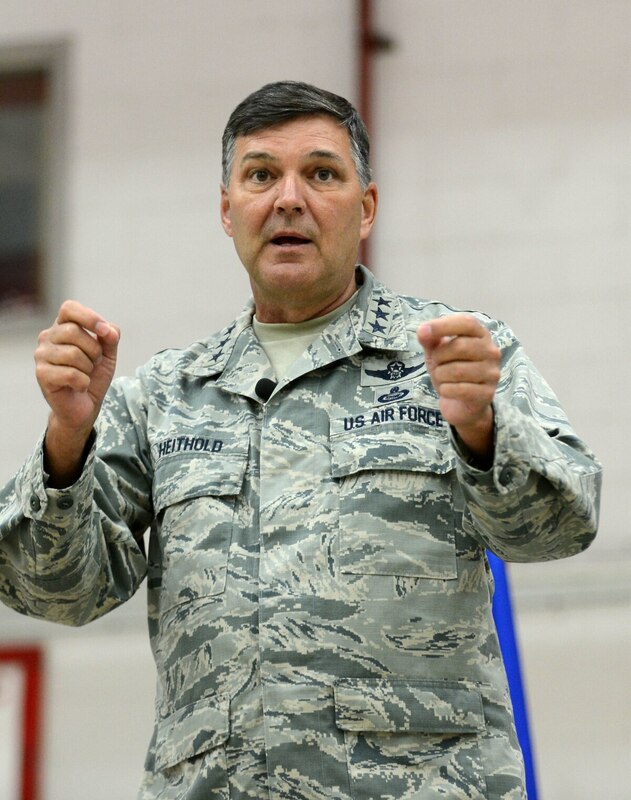 New technology could help airmen find targets under cloud cover, and Heithold said he wants to further develop things like small unmanned aerial vehicles that could be carried on board larger AC-130s. "We're going to drop a small UAV out the common launch tube. It's going to go below the depth, it's going to settle in orbit," Heithold said, adding the UAV could then scout the target. "Once we see what we need to see, pass the coordinates back to the airplane and I can strike through the weather," Heithold said. "If I get a set of coordinates I can hit it. I can see where the round hits now, I can adjust fire. As long as I can see the target, see where the rounds hits, I can adjust." "So the idea is very simple: take the eyes off the airplane, put it in the [UAV], and put it below the weather," he continued. The general also said he wants a directed energy system installed on an aircraft by 2020. The multi-purpose system could be used for a wide number of effects, from shutting down enemy cell towers or vehicles to destroying incoming missiles targeting the plane. Bad weather, however, is one of the chief things that can hinder the range and accuracy of directed energy weapons, and is an issue many defense contractors are working to improve. "It's not going to be effective in every single mission that we do. We understand that," Heithold said. "I don't know of any technology that tells me how you're going to be able to deploy directed energy lasers through a [cloud] deck.You're going to have light reflection, energy reflection, it's going to be a problem. You can't use every weapon you've got every time." Heithold noted that while not every weapons system is going to work in all types of weather, it is better to have the capability available than not. "We still have to get behind the enemy, we still have to be able to infil, exfil enemy territory, get in, get out, do the same sorts of things that we frankly have done since World War II ... get people out of danger, rescue hostages, infiltrate indigenous forces," he said. "It's what we do. We just do it with slightly different weaponry."